Burbank’s airport may be small, but with a name change, a new terminal and an increasing roster of flights, it could be a viable alternative to Los Angeles International for a growing number of passengers. Located northwest of downtown Burbank, the city’s Bob Hope Airport is about the same distance from Beverly Hills as LAX is. 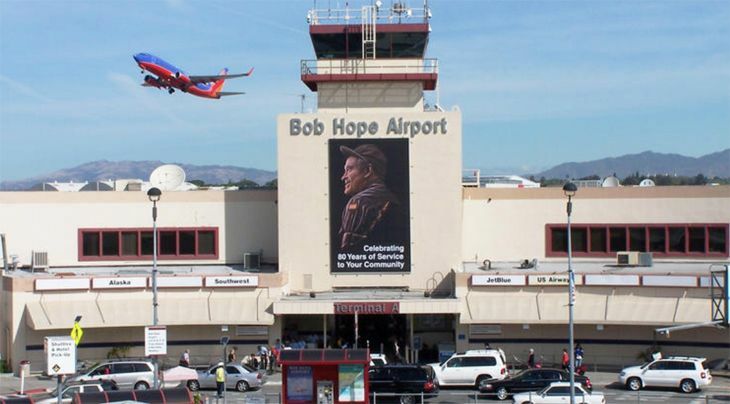 It’s even closer to Hollywood, and hence its new name, which was approved last spring and will soon appear on airport signage: Hollywood Burbank Airport. Actually, it was called Hollywood Burbank Airport before 1978, and then was renamed Burbank-Glendale-Pasadena Airport. In 2003, it was renamed for Bob Hope. But since that actor’s name didn’t say anything about where the airport is located, officials decided a geographic reference was needed once again. And Hollywood Burbank probably has more cachet than Burbank-Glendale-Pasadena. The little airport is gaining traction among business travelers as Los Angeles International becomes more congested and more bogged down with massive construction projects. It’s also closer to the west side hotels that many road warriors prefer. Passenger traffic during November 2016 was up more than 11 percent over the same month a year earlier, and the airport was poised to show a 12-month total for the year of more than 4 million. Southwest dominates the airline roster at BUR, carrying about half the total passenger count. The airport is also served by Alaska, American, JetBlue, Delta and United. Route options in the California Corridor are the strongest at BUR, with Southwest flying to San Francisco, Oakland, San Jose and Sacramento. United also flies BUR-SFO, and Alaska Airlines is due to launch three daily roundtrips between BUR and San Jose in mid-March. Small-jet operator JetSuite X also started operating at Burbank last year, with service to San Jose and to Concord, CA in the East Bay area. United has recently up-gauged some of its DEN-BUR and SFO-BUR flights from regional jets to mainline, according to Live & Let’s Fly. 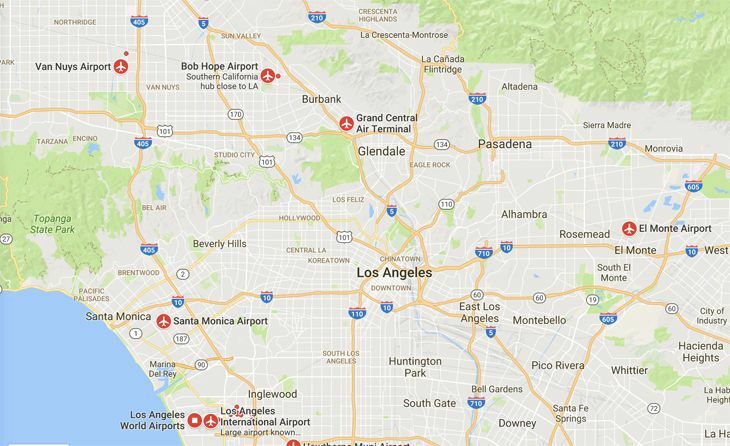 Burbank has attracted nonstop flights from as far away as New York-JFK (JetBlue), and Austin, TX. Alaska flies in from Seattle and Portland. Delta used to offer a convenient nonstop from Atlanta. Southwest will add new service from Burbank to Salt Lake City next month, a route already served by Delta. Service is also available to Seattle on Alaska and American; to Portland on Southwest, Delta, American and Alaska; to Phoenix on American and Southwest; and to Denver on Southwest and United. JetBlue offers a red-eye from BUR to New York JFK, the airport’s only transcontinental non-stop. The airport is planning for future growth with a new terminal. Last fall, voters approved construction of a 14-gate terminal that is farther from the runways than the existing facility, which will be torn down after the new one opens. Design and construction of the $400 million terminal is expected to take place from 2018 to 2022. Readers: Do you consider Burbank a viable alternative to LAX? What do you consider Burbank’s advantages and/or drawbacks?